7 days, 3 gigs - not a bad innings at all. Tonight I saw A Tribute To The World Of Oliver Postgate (creator of wonderful children's television programmes, including The Clangers and Bagpuss). They closed by performing the music and sounds to an entire episode of The Clangers. Last edited by Maddieman; 06-13-2011, 02:13 PM. Saturday night as part of the same festival, I saw The Age Of Not Believing Orchestra + The Real Tuesday Weld, supported by Marcella and The Forget Me Nots. My god, what a lineup - and opening acts don't really get much better than Marcella Puppini. I'd never heard of The Real Tuesday Weld, but they were fantastic. You may have heard them on the soundtrack to L.A. Noire - definitely a band to watch out for. Last edited by Maddieman; 06-14-2011, 12:22 AM. Just saw Little Red @ Amps in Perth. Was pretty damn awesome. Last night I was very lucky to see PJ Harvey at the Royal Albert Hall. 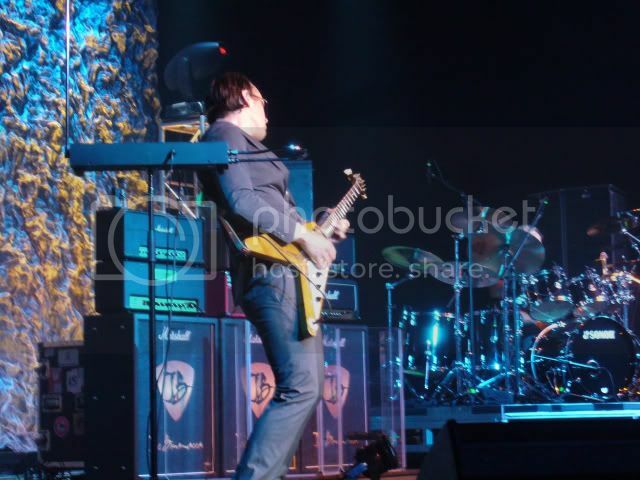 Saw joe bonamassa saturday night. This guy's solos are INSANE...especially the acoustic "Woke up dreaming". My mind is still blown. Best guitarist I've ever seen. Last edited by JTX; 12-06-2011, 07:04 AM. Very cool. My brother is always listening to his music. He was in Australia a few months ago. Got to see Mastodon play about a month or so ago. They have to be one of the most consistently solid bands of the past decade (studio & live), metal or otherwise. Red Fang was the opener and they killed it too, another awesome Relapse band on the rise.